Bubbalicious brunch, with no doubt one of our favorite brunches in Dubaï. A unique experience which will definitely please everyone, taking place in the Westin Dubai Mina Seyahi. Three of Dubai’s most recognized restaurants participate in this huge brunch: Blue Orange, Spice Emporium and Hunters Room & Grill. The countless food sections offer everything that you feel like eating, and even more. 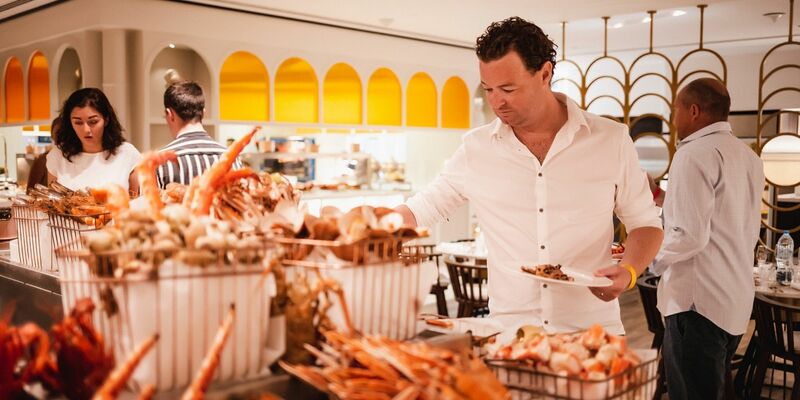 Sushi station, cheese section, oyster bar… You can never go wrong! You fancy a dessert? 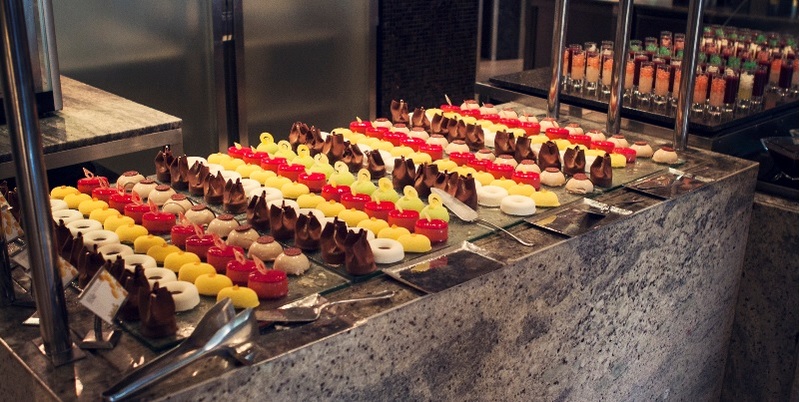 The sweet section blows your mind away, with its dedicated chocolate table. Leave some space for it, or you'll regret it! As for the entertainment, there is a three-piece band, an outdoor-petting zoo for the kids, a magician and even a group of gawp-inducing acrobats. At first, we didn't believe our eyes. It's perfect for families!